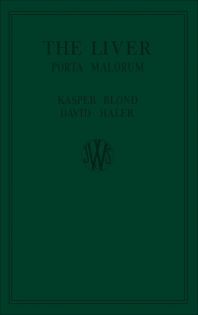 The Liver: Porta Malorum (The Gateway to Disease) presents the fundamental aspects and significance of liver as a detoxicating organ. This book explains the diversity of the signs produced by liver damage. Organized into 17 chapters, this book begins with an overview of the process of assimilation through the activities of the liver cells. This text then discusses the emptying mechanisms of the gall-bladder. Other chapters consider the various diseases, including jaundice, pancreatitis, Bright's disease, bronchial asthma, toxic goiter, hemorrhoids, spontaneous thrombosis in the rectal veins, and varicose veins of the leg. This book discusses as well the generally accepted theory concerning the etiology of appendicitis, with emphasis on bacterial inflammation. The final chapter deals with rectal varicose disorders. This book is a valuable resource for hepatologists, pathologists, morphologists, and physicians. Medical students and research workers interested in the fundamental aspects of the liver will also find this book extremely useful.